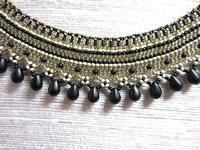 Romantic and dramatic at the same time, this bead woven collar necklace makes one think of the queens of ancient Egypt. 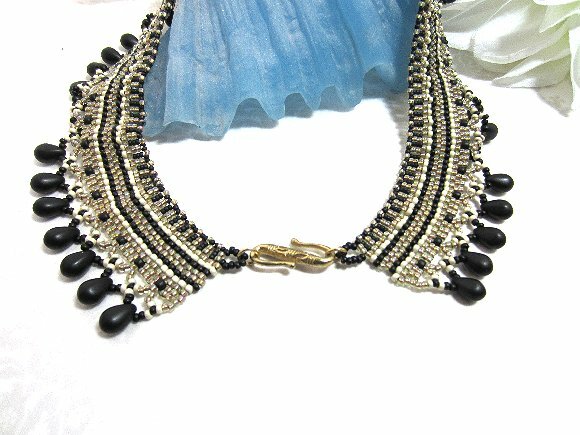 I've used shiny bronze and ivory colored beads to make matte black POP big time. 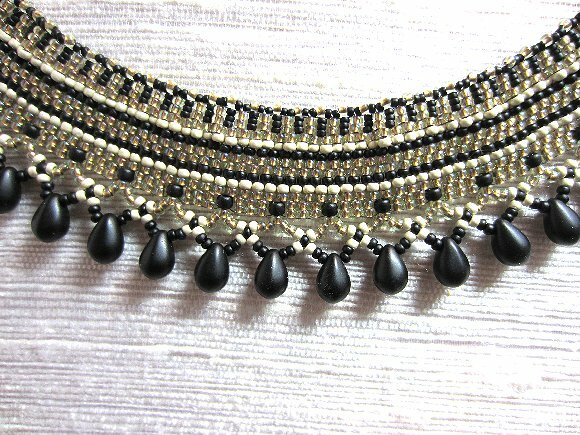 Inner measurement is about 16-1/2" with a natural curve built in so the bead woven collar will lie perfectly flat. It's as much a work of engineering as it is a work of bead art. The collar necklace closes with an Egyptian style 'S' hook set. 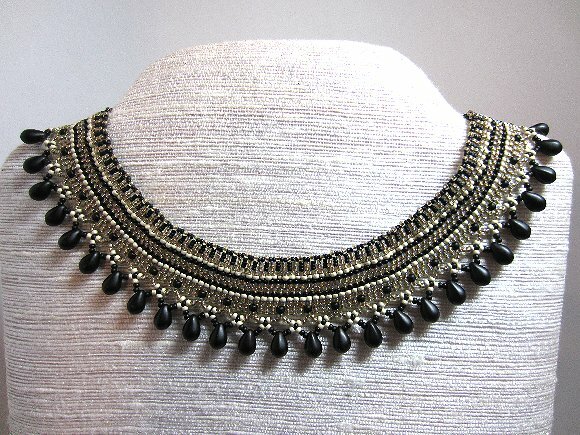 When you're in the market for one of a kind pieces, look no further than SPARKLE PLENTY.